The current buzz on the 2017 soccer season includes why artificial grass benefits soccer. As the new season begins, soccer fans have much to talk about. They are talking about all of the upcoming matches at Providence Park. They are talking about 2018 FIFA World Cup that will be held in Russia. 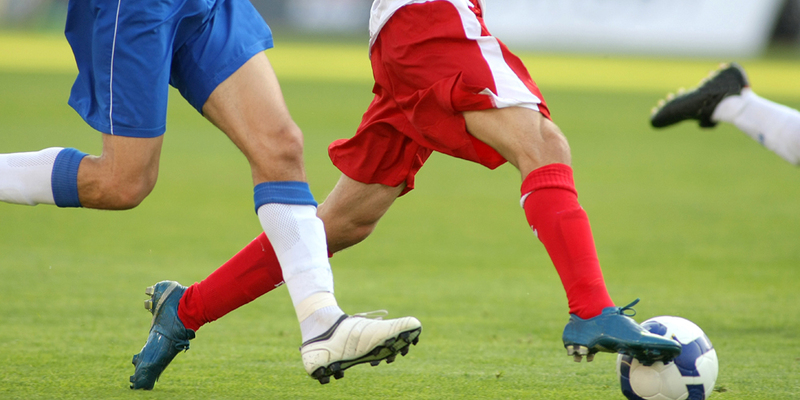 Another topic that soccer fans are discussing is why artificial grass benefits soccer. At Watersavers Turf, we are synthetic turf experts who also happen to be avid sports fans. So, we would like to share our views on why artificial grass benefits soccer. From school leagues to the major leagues, outdoor sports are being played more often on fake sod versus real sod fields. For soccer, this is a recent change that began just a few decades ago. The game itself is very old; a very early version called Tsu Chu was even played in ancient China. People today want to know if using these products has been a good change for the game. Let’s take a closer look at that issue right now. How would players know that artificial turf improves soccer fields? Knowing the stats is one way. The stats from the FIFA Women’s World Cup Canada 2015 ™ showed that the players had a lower rate of injury. For the first time, this event was played on plastic soccer turf. The injury rate was lower than it had ever been when played on real grass. That’s why this stat then turned into a big news story for the soccer world. Artificial turf also improves soccer fields because it drains faster and better. Fields become more usable than those with real sod. Today’s plastic sod products are made to be stronger and last longer. They also look and feel more like the real thing. Can players perform as well on them? As they play more matches on them, players are finding that artificial turf improves soccer fields. It makes fields smoother and safer. Rain doesn’t turn them into mud bowls. In many parts of the US, the use of fake grass fields extends the playing season for all outdoor sports. Also, maintaining it takes much less work. It’s easy to see why many in the pro sports world are big fans of artificial grass. There is a lot more to today’s manufactured grass products than meets the eye. For soccer fields and other active uses, people can increase synthetic turf safety with lawn pads. By pairing it with the right padding, both private lawns and stadiums can be made much safer for play. It becomes a surface that absorbs shocks, so both it and players can bounce right back! The experts at Watersavers Turf can be a great help in showing you how to increase synthetic turf safety with lawn pads. We can also explain which our more than 60 varieties of turf will best suit your needs. We are proud to tell you that our turf meets the FIFA standards for durability. So if it can stand up to pro soccer matches, it can stand up to any uses that you may have in mind. Maybe you have active kids, and that’s why you want to increase synthetic turf safety with lawn pads. You might want to know more about the safety of the grass itself. You’ll be glad to know that our products are all certified lead-free and non-toxic to kids, pets and everyone else. Matched with the right padding, using fake grass in your yard can be safer for kids to play on. This is why many schools across the US are now using it in their sports fields. Will you be going to Providence Park, home of the Portland Timbers, for any of this season’s exciting soccer matches? They will all be played on artificial sod. More and more, this is the surface that has become the real deal for the sports world. You’ll have a lot more time for enjoying soccer matches and family outings of all types with a synthetic grass yard. You won’t ever have to mow it, water it or weed it. You won’t have to pay someone else to do these things. The only care it will ever need is to use a rake, broom or leaf blower on it. This makes it a very carefree choice. You’ll have more time for the things you like to do, whatever your lifestyle is. It could be spending more time with the kids, or having more time for yourself. Either way, you’ll also save the money it takes to keep a real grass lawn watered and alive. At Watersavers Turf, our experts can show you how to up your game with fake grass. Whatever sport you love, we can help you to create your version of it. Have a safer sports field for the kids to play on. Create a private putting green. Enjoy your own synthetic grass tennis court. Call us at 844-874-8873, and we will be glad to answer any of your questions. If you’d like to, you can also chat with us online 24/7. Visit any of our seven SF Bay Area locations and while you are there, pick up our large 1’ x 1’ synthetic lawn samples. That way, you will be able to see and feel the quality of our products up close. Our quality is backed by our 18-year residential (10-year commercial) warranty, which is one of the best in the industry.